My Word of the Year? Hope! Sandi shares her Word of the Year for 2016 and why she chose the word she did. Each year I accept a new word from the Lord. It is similar to a New Year’s resolution, and each Fall I begin searching my heart for a new word that I feel like God has for me to learn from. A word whose meaning seems to be missing in my life. 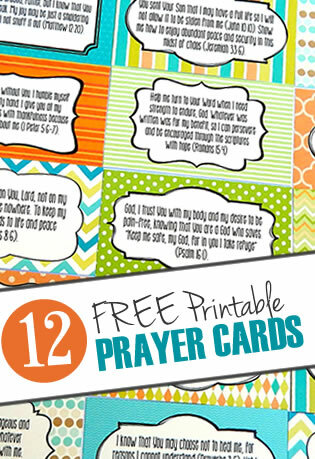 A word to study, collect verses on, and pray over. This year the word is hope. Last year was a hard year! No, I will not drag out all of the details, but just know that my health has worsened, finances were a problem, and I just became weary and fatigued. Normal everyday things became so complicated because my arms are growing as disabled as my legs! And It is very painful to try to maneuver my chair around the house, because it is not a power chair. The pain, fatigue, and frustration just caused my spiritual heart to become cold. So my Word this year is hope!. Hope just sounds joyful doesn’t it? It lifts my head and my heart! joy has been my word many times until I just went ahead and graduated it to becoming my life word. I think God is trying to tell me something . . .don’t you? Listen closely, “May the God of hope fill you with all joy and peace . . .” There is my joy word. “as you trust Him . . .” so I have to shake my self off and get involved here, actively trusting Him. “so that you may overflow with hope by the power of the Holy Spirit.” I want that! Webster’s New World Dictionary describes hope as ” a feeling that what is wanted will happen.” Maybe we should say trusting that what is wanted will happen? I think so. I hope so! Has it been a hard year for you? Let’s hope together, shall we? And let’s find that joy and peace as we trust Him. Prayer: Heavenly Father, I trust You. I do. Please soften my tired heart, and fill me with Your joy and peace. Make it new again. In Jesus name I pray. Amen. Have you ever chosen a Word of the Year? Share below what your word is this year, or if you do not yet have one, share your brainstorms. Filed Under: Coping Skills, Devotionals, Finding Purpose, Hope, What's New? 18 Responses to My Word of the Year? Hope! What a great word to have for 2016! Loved this bit: ” “so that you may overflow with hope by the power of the Holy Spirit.” I want that! ” Yes & amen!! Sounds like you’ve had a REALLY tough year! My heart goes out to you. 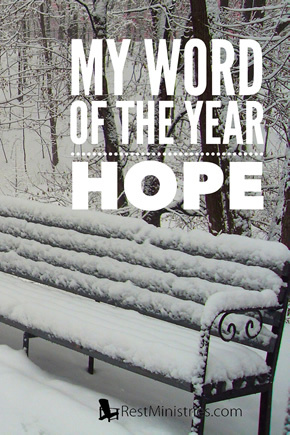 I pray that God DOES bring you hope that blossoms into joy, as you let Him guide you this year with this word. I pray that blesses and encourages you. I will keep you in my heart. Sandy – so good to read your words but hard to know it has been a harsher year for you. I have known that from hearing from you but that you now how put that experience into a devotional to bring HOPE to the rest of us, many thank yous. “. . that by the power of the Holy Spirit you may abound and be overflowing (bubbling over) with hope.” What a great word image to see God’s hope bubbling for us, in us, with us. I was going to keep my word from last year, “Believe” but the tuck was too hard to go with the word, “Healing” and I am not sure what all that is to mean. I sense it goes beyond “physical” and is to be deeper healings within. As any word we could choose is found IN Him, we know that as we rest with Him and keep trusting in the One who knows – He will work out exactly what He wants for us. And it will be good. May this be a year of hope that continues to bring joy, no matter what you, or each of us, has to face. So glad we never face any of it alone. Thank you for your kind words Fiona. I pray new joy for you as I read of your new trials. Isn’t it wonderful that His Spirit binds us together across the miles and around the globe? We can carry one another’s burdens, and thus fulfill the will of Christ. I feel exactly like this! Last year was terrible but I do have hope that this year is going to be better. My trust in God is growing but a lot of pain has to get out of the way. Julie, I am sorry that you are in a lot of pain. I will keep you in my prayers. I do hope and trust that our Father gives a greater measure of joy as you grow in Him. Sandy, I just loved your “word” and life focus. Thank you for encouraging each of us to trust and Hope in the Lord, who’s love for us never diminishes. Diane, I am so glad you wrote! He gives us great joy and hope as we trust in Him. Yes, I had a hard year, but so full of growth! I rejoice in the growth because I love Him so, and want to serve Him more and more! The Lord led you to use one of my favourite verses Sandi. And the Amplified is lovely too. I love the word, “bubbling”! It expresses such precious joy. Hope is something we need so badly, especially during an especially rough time like you’ve been having. Dear friend, may God answer your prayer and give you what you need to triumph in 2016. Beth, I am always glad to see your smiling face when I read through the comments. I do keep you in my prayers too. I pray that your hope bubbles up, and your Joy flows like a fountain this year. Keep your eyes turned to Jesus. Dear Sandy, thank you! This blessed me tonight. The Lord gives me a word each year, and this year it’s JOY! I will pray for you precious sister in Christ. I am so thankful that you were blessed. Have you always collected a word for the year? May your year be full of JOY as you look to Him! And thank you so much for your prayers, I pray for you too. Healing… And He gave me HOPE!!! I will watch your video.